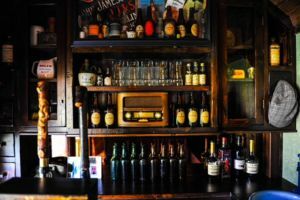 Functions and events often take place in pubs across Ireland, but wouldn’t it be great if the entire Irish pub could come to you? 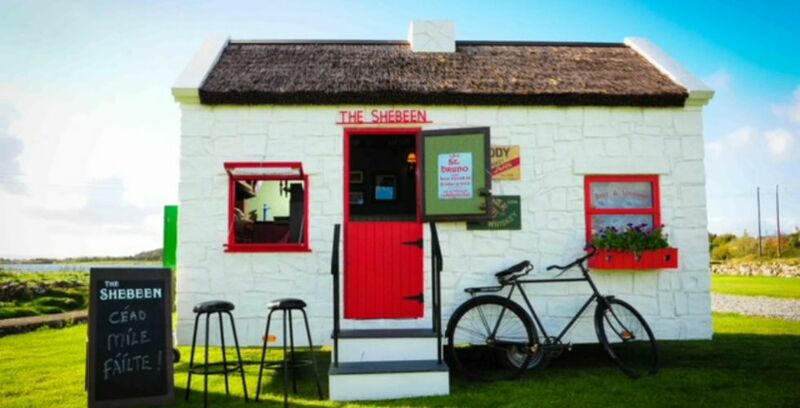 The Shebeen may just be the answer. Did you work in the alcohol industry? I have never worked in the alcohol industry, but I grew up in a business family where creating experiences and entertaining was part and parcel of our home. It’s in my blood. I’m a creator at heart, a problem solver and a trained craftsman. I worked in Australia, the U.S. and Canada before returning to Ireland in 1998 to start J.W Design, a furniture design and interior fit-out business. In 2010, I founded Clinical Cabinets which specialises in designing and fitting out laboratory, cleanroom and healthcare spaces. I love designing furniture and space solutions and working with a variety of specialist materials to improve people’s space. We have two arms to The Shebeen business: rentals and custom builds. You can rent The Shebeen for an event and we’ll deliver it to the site, set it up and then collect it when the event is over. Or you can commission us to design and build your own unique Shebeen experience, where we build it and you buy it. We exported a commissioned build to Switzerland last year, and have two more in design for the UK and New York. What is the unique selling point? The Shebeen is novel, and yet functional. 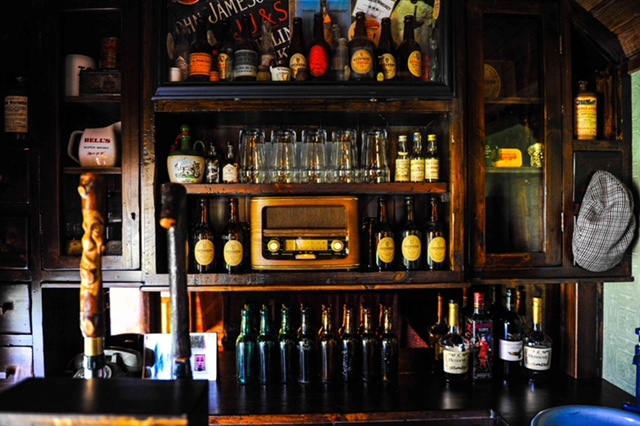 You can have the traditional Irish bar experience anywhere, at any time, without having to leave your home. It has a fully operational bar, with a sink, beer taps and a cooler. 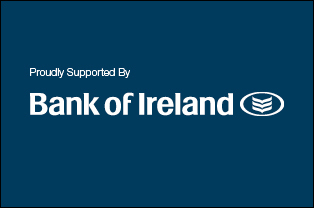 We have also learned that it’s exquisitely soundproof – Today FM and other radio stations have hired it as their outside broadcast unit on a number of occasions for festivals and events. Most of the major events companies rent the Shebeen for corporate entertainment, showcases or promotional events. 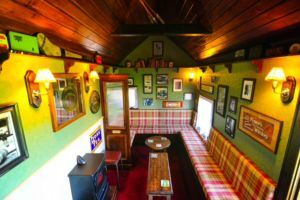 The Shebeen is being rented by Bord Gais for this year’s GAA All-Ireland final. How have you marketed it? Initially, in 2015, we set up a website and social media platforms to build interest. To our surprise, we received a lot of interest from local media, which prompted national media coverage and this landed us on The Late Late Show. We received a strong following from the States, so much so, we shipped a Shebeen to Boston which is available for rent. Over the last year, our marketing has been mainly word of mouth and social media. We plan to do a brand refresh over the coming months and refocus our marketing to gain more share of the concept bar design, and mobile unit experiences. Our target market is mainly weddings, special home parties and corporate brand events and showcases. What are your plans to grow your business? Isketchbooktch book of concepts and designs for lots of mobile bar experiences, and other mobile experiences. I would like to be able to continue to add new products to our portfolio, and build out the brand to be more than just the traditional Irish bar experience. My vision is to become the Orange County Choppers of mobile experiences where we build our own designs for rental, take commissions from global brands who’d like their own mobile bar, and build a visitor centre where people can come and see the builds and designs. Because the product is so novel, it has taken time to identify the target market and renter/buyer profile. We have gained insights over the past few years which is helping us become more focused now. I am now looking to hire an excellent marketing manager who can help me grow the business and build its potential.